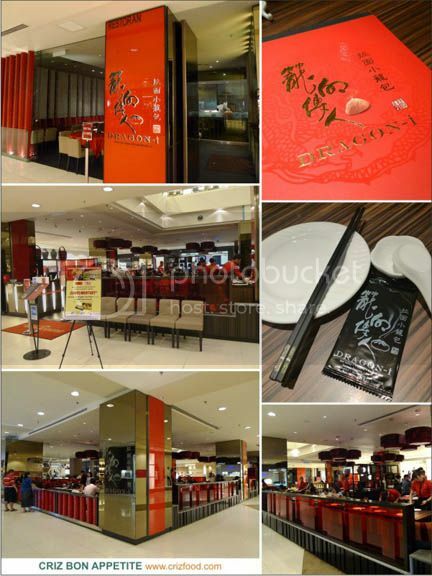 Inspired by the delicious spread of cuisine from China especially from the regions of Shanghai, Szechuan, Beijing and Lanzhou, Dragon-i has set up yet another branch at Gurney Plaza to cater to the increasing demands of locals as well as tourists in Penang. There’s a great spread of spicy and non spicy dishes available here for just anyone, ranging from appetizer, soup, la mian (fried & soup), hot stone & steamed rice, fried rice, pork & duck, chicken & beef, seafood (frozen & live), bean curds, vegetables, dim sum, desserts and beverages. 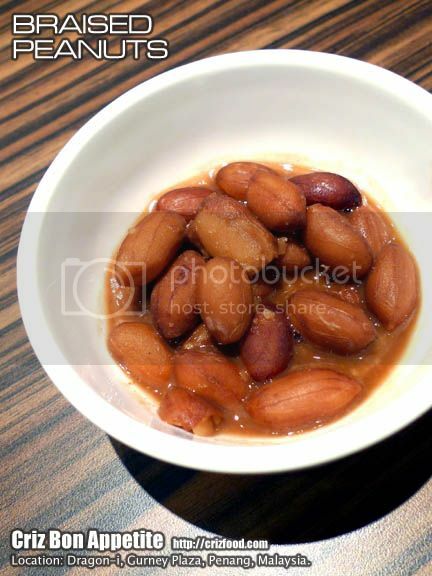 Upon seated, you would be complimented with some Braised Peanuts. Their version was somewhat different compared to my recipe as there was some thick gravy presence. Although the peanuts were semi soft, they tasted not bad. I had something light to start off my meal. 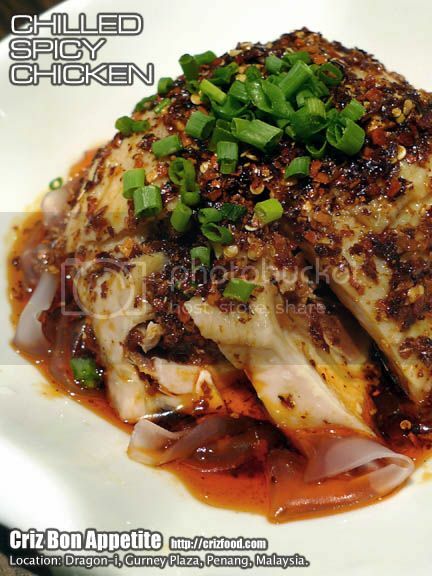 The first dish was an appetizer called Chilled Spicy Chicken in Szechuan Style (四川麻辣口水雞 – RM16++). The chilled chicken pieces were smooth and tender, just like those you get from quality Hakka chicken rice shop. It came with some spicy and mildly salted chili flakes in oil with hints of some sesame oil. It was awesome but it might be a bit too spicy for non spicy food diners. The dish also had some al dente type of noodles made out of mung beans flour (綠豆粉) which complemented the overall dish real well. 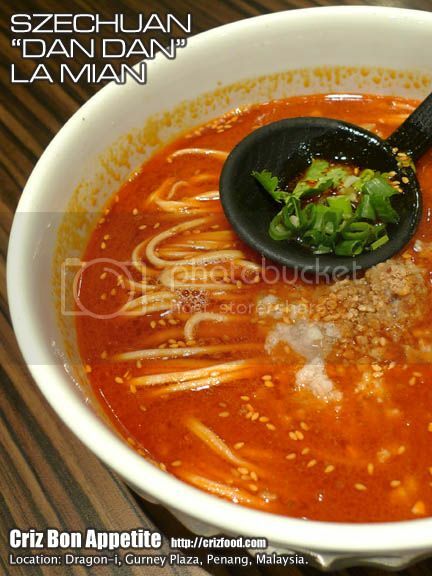 Dragon-i is also famous for its la mian (ramen/拉麵). I tried out one of their signature dishes which was the Szechuan “Dan Dan” La Mian in Hot & Sour Soup ((四川擔擔麵 – RM13++). I would say that their portion for the noodles was rather large for a person. It practically came with some minced meat in the chef’s specially pepped up soup stock and garnished with some sesame seeds and pounded peanuts plus some chopped spring onions and cilantros. The hand pulled noodles had that nice springy aka al dente texture. The soup has a rich nutty flavor which I believed was from the addition of some grounded raw peanuts during the process of cooking. The added chili oil gave out that Spanish pimiento like aromatic sweetness and spiciness. 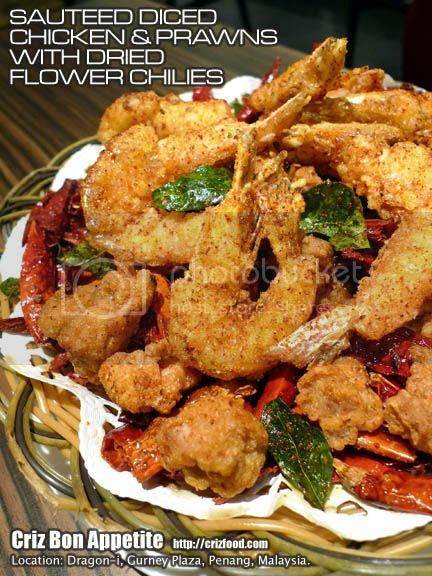 This is another hot and spicy dish to watch out for. 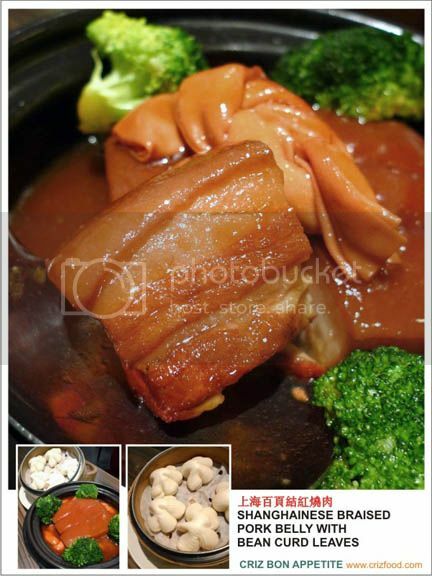 Another of their signature dishes would be the Shanghainese Braised Pork Belly with Bean Curd Leaves (上海百頁結紅燒肉 – RM28++). For pork belly lover, you would love this multi layered piece of meat and fat which has been slowly braised with a selection of quality soy sauce, together with some rock sugar, spring onions, ginger, star aniseeds with a light touch of Chinese wine. It had that awesome melt-in-the mouth sensation. The firmed textured bean curd leaves which has been soaked in the rich and thick gravy was nice. There were some beautifully hand crafted steamed buns (mantou/饅頭) provided. The next dish which was the Honey Glazed Duck Breast with Lotus Seeds & Deep Fried Bean Curd Skin (蜜汁燻鴨胸烤雙方 – RM28++) was a heavenly DIY dish. This dish was somewhat different compared to how the Peking Duck dish was served. It did not have any accompanied sauce. Somehow each honey glazed duck slice was succulent enough to be taken all wrapped up together with a slice of bean curd skin, some honey braised lotus seeds and cucumber. 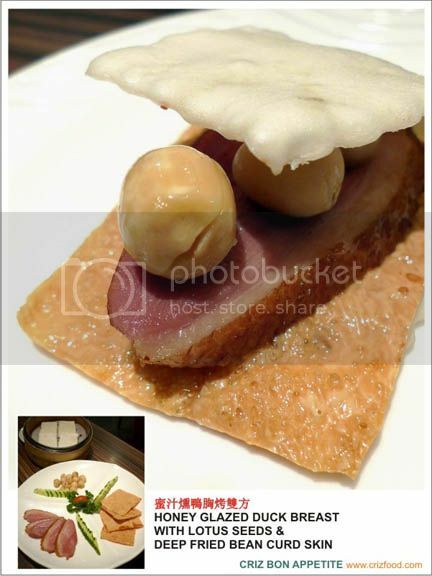 The sensation of having the honeyed ham taste like duck combined with the sweet nutty lotus seeds, crispy bean curd skin and crunchy cucumber was a nice experience. My advice would be to halve the lotus seeds prior to wrapping to avoid them falling out. A visit to Dragon-i would not be complete if you did not try out their signature Shanghainese Steamed Meat Dumplings (上海小籠包/Xiao Long Bao – RM9.80++ for 4 pieces). The minced meat was perfectly done with hints of some minced Chinese ham, ginger and a slight touch of soy sauce. The soup confined within the pagoda shaped dumpling was indeed rich in flavors. 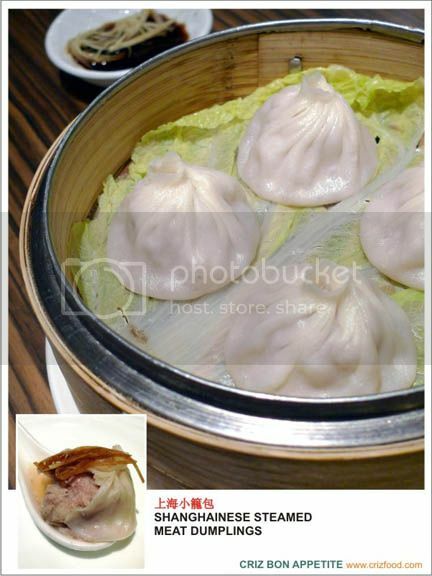 Most people are not aware of the right way of having the Xiao Long Bao and got splattered with juice. The right way (view here) would be to gently pick up the dumpling and place onto a spoon. Nibble a small corner and sip up the soup. Apply some slivers of ginger in black vinegar on it and enjoy the dumpling. 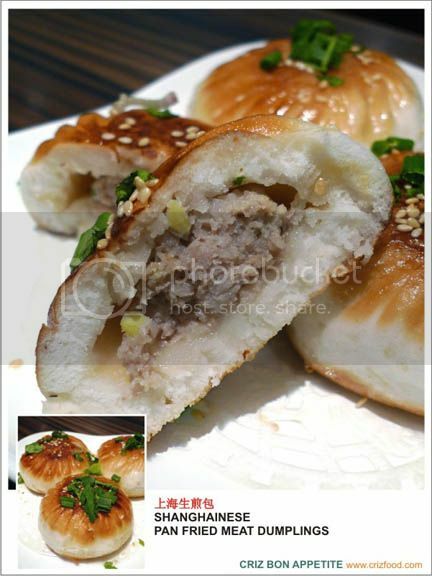 I also tried out the Shanghai Pan Fried Meat Buns (上海生煎包 – RM9++ for 3 pieces). The light and fluffy bun had exactly the same flavored filling as the Xiao Long Bao with that extra fragrant from the pan frying. Not bad. 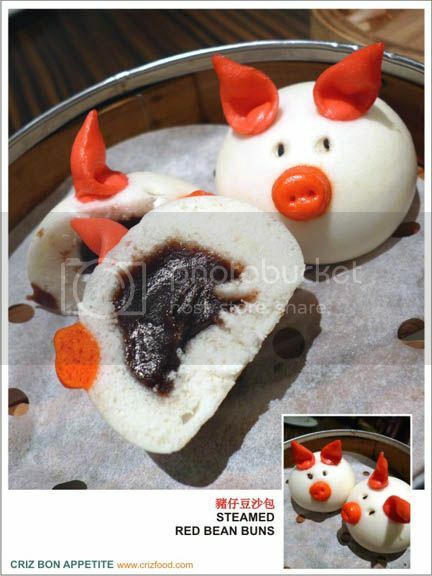 Whenever I’m at any dim sum outlets, I would always go for something cute to share with my reader with children. The Steamed Red Bean Buns (豬仔豆沙包 – RM9++ for 2 pieces) caught my attention. It was nothing special except for the unique design with mildly sweetened and silky smooth red bean paste. As for desserts, I went for something different and out of the norm. 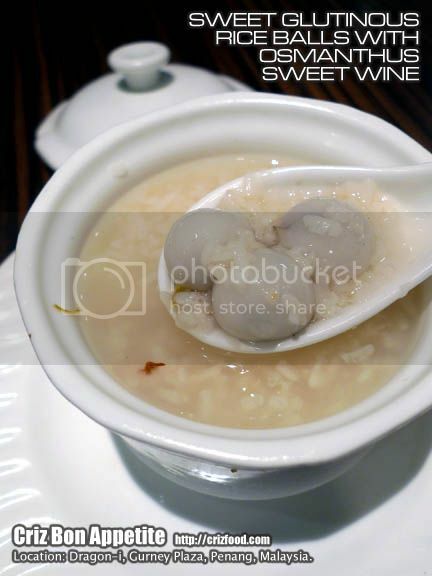 I tried out the Sweet Glutinous Rice Balls with Osmanthus Sweet Wine Soup (桂花酒釀湯丸 – RM8++). This dessert required an acquired taste as it tasted just like Tapai, a Southeast Asia delicacy made from fermenting a selected rice grain (normally white rice or glutinous rice) with dry yeast biscuit. 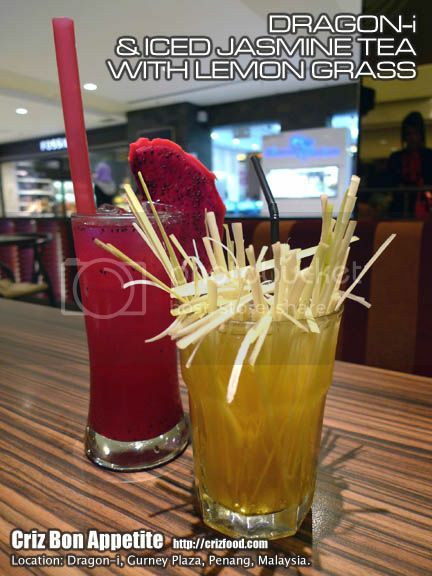 The dessert has a sweet and sour alcoholic taste with a nice flowery taste from the osmanthus. This dish came with some soft black sesame filled mini glutinous rice balls. To me, it was a nice dessert after having such a heavy meal. There are a few nice beverages available here. The recommended ones would be the Dragon-i (龍的傳人 – RM12++). It was made from a concoction of red dragon fruit and passion fruit juices with a twist of lemon juice. The other one would be the Iced Jasmine Tea with Lemon Grass (檸檬香草茉莉花茶 – RM10.80++). The presentation was rather unique. The combination would provide the drinker with a soothing and calming effect. Overall, some of the dishes served here can be quite nice except that the price can be a bit high for many as there are the extra 10% service tax plus 6% government tax imposed on all orders. 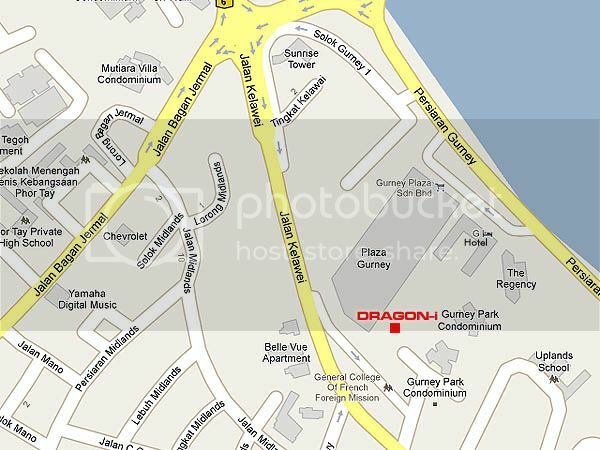 To get to the restaurant, all you need to do is to find your way to Gurney Plaza. Just walk towards the new wing of the mall and walk straight towards the Jalan Kelawei entrance and you would see the restaurant right after the Manila Place. Persiaran Gurney, 10250 Penang, West Malaysia. Sometimes, we overlooked when there are many choices. wAHHH!! Everything look so ho liao! bo jio..;( ahaha! Every dish is my fav!! Especially the cute cute red bean bun! !